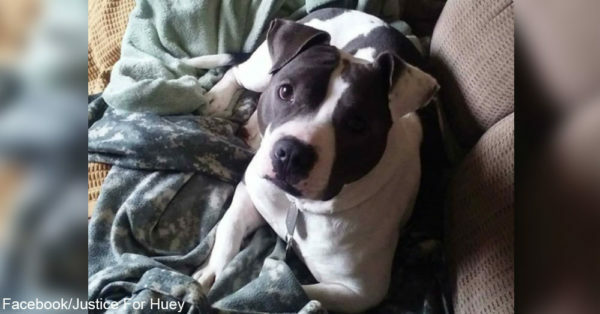 The army veteran who killed her therapy dog as her boyfriend filmed the incident and posted it to social media has been found dead, possibly by a self-inflicted gunshot wound. Marinna Rollins, 23, was under investigation for animal cruelty charges stemming from the killing of her service dog, Camboui, on April 16. She had Camboui certified as a therapy dog to assist with her post-traumatic stress disorder earlier this year, but in mid-April, she posted a cryptic message to Facebook, indicating the dog was going to be euthanized. What came next is nothing short of a nightmare. Rollins and her boyfriend, Jarren Heng, an active-duty service member, can be seen laughing and drinking beer in the videos they made as they shot Camboui in the head repeatedly with a rifle. An anonymous tip led North Carolina animal control and police to Rollins’s address, where they arrested her on April 20. Heng turned himself in four days later. According to CBS News, both Rollins and Heng were facing felony animal cruelty charges with substantially higher bail limits than usual. Rollins’s bail was increased from $10,000 to $25,000, and Heng’s from $5,000 to $25,000, because of “aggravating factors and the cruel nature of the case,” the judge commented.